Metro FM and Real Concerts present Blacks Only Comedy Truth or Dare in Durban on Saturday 27th April at The Globe, Suncoast Casino. What started as a one-night only comedy show in 2004, Blacks Only Comedy is the biggest comedy brand in the country and the most anticipated event on the social calendar, showcasing the country`s top comedians and is now entering into its sixteenth year, with shows occurring 3 or 4 times a year. Director, producer, MC & comedian David Kau, who`s outlook on everything South African and which has earned him a strong following, will continue his role as MC for the event. The evening will also showcase award-winning comedians as well as some fresh talent. 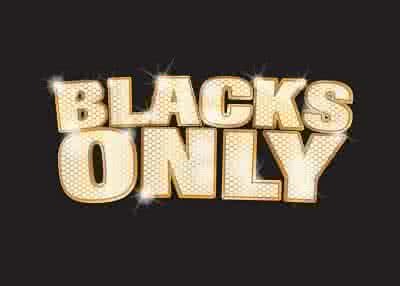 Blacks Only Comedy Show is no stranger to edgy topics and close to the bone humour, and promises not to disappoint. The line-up for Durban is MC David Kau; Mpho Popps; Kagiso KG; Lihle Msimang; Suhayl Essa; Mondli Usher Mzizi; Sifiso Nene; Schalk Bezuidenhout; and Celeste Ntuli. You won`t want to miss these non-stop laughs! Tickets can be collected from the theatre box office which opens 2 hours before start of show. However to avoid queues, please collect your tickets at any Computicket store or at any Shoprite, Checkers, Checkers Hyper, House and Home or at selected OK Furniture and Usave stores. Tickets MAY NOT be collected by a third party. The card used to make the booking must be presented when collecting tickets. Patrons need to present a passport or ID document at the collection point. When booking on the web, select the discount and number of tickets you require (up to a maximum of FOUR per card). Enter the Tsogo Sun Rewards code. After verification the correct discounted price will be displayed and you can complete the booking. Suncoast Casino, Hotels & Entertainment, Suncoast Boulevard, North Beach, Durban.